Our People. Our Promise. Our Passion. We say what we do. We do what we say. We provide services for large plant shutdowns and complex industrial projects in the oil and gas, pulp and paper, mining and smelting, power generation, and chemical sectors, throughout North America. For more than 20 years, we have consistently achieved the highest standards of safety, quality, and service for our customers. In an industry where cost and schedule over-runs are common, we deliver customer value by safely completing projects on time and on budget. 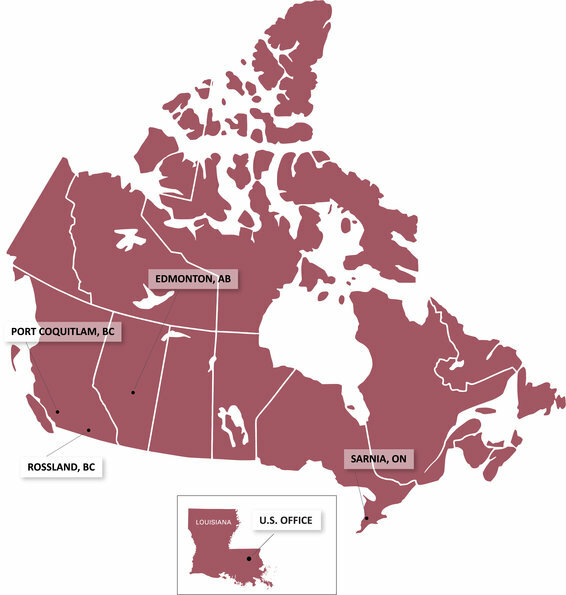 With our five locations across Canada and our U.S. office, we provide solutions for all your industrial projects throughout North America.